My name is Paolo D'Angelo and I was born and I live in Rome, Italy. My interest for the Space was born the Night of the Moon when I was only eight years old. Since that time I have accumulated so much material concerning the Conquest of Space. 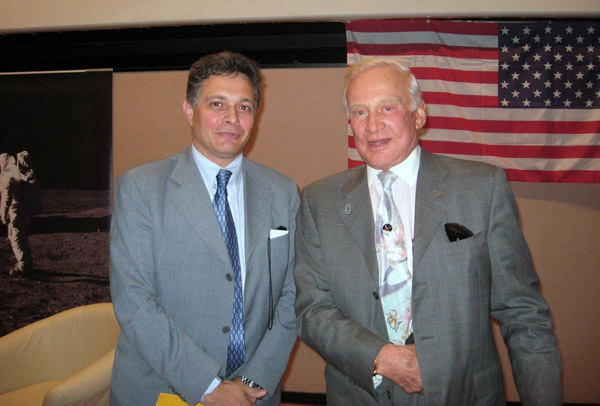 The top photo shows me with Buzz Aldrin on 17 July 2010. 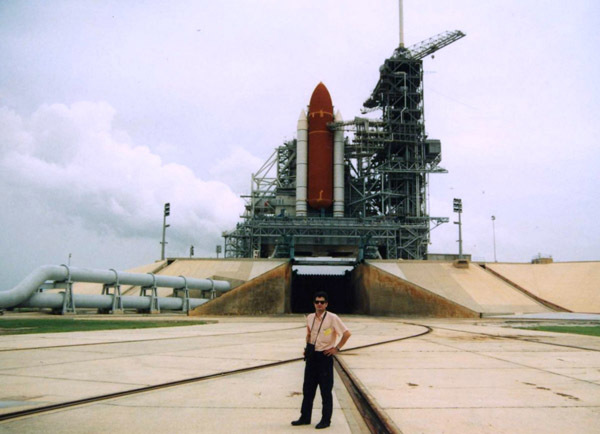 The bottom photo shows me at Pad 39B in June 1998. The Shuttle is Discovery in preparation for STS-70. The launch was delayed from 22 June to 13 July because of woodpecker holes discovered on 31 May in the foam insulation of the External Tank. Fortunately I saw the launch of STS-71 Atlantis a few days later (27 June 1995).